This episode is brought to you by PowerMeeps.com and Van Ryder Games. 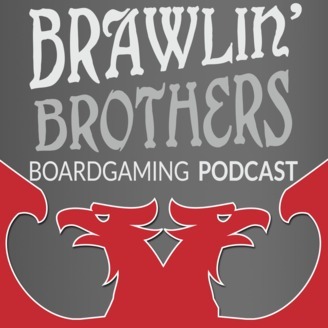 4 years and 100 episodes later we are incredibly pleased to bring you this action packed episode! Tune in and join Josh, Brandon, Cat and Jordan as we remember some of the best moments from the last 4 years. We discuss some of the games we've recently been playing, including: Pitch Car, Museum and Villainous! We highlight some of the current excitement on kickstarter, including On Mars and Oceans. We wrap the episode up with a laugh filled Blue Peg Pink Peg Interview! 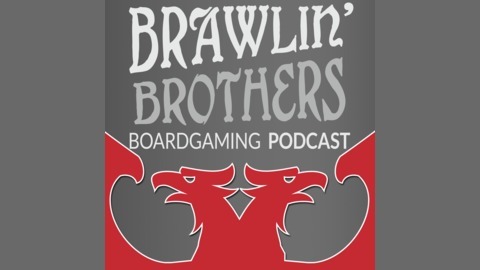 Robb and Christina flip the script on the Brawling Brothers and ask THEM the questions. PowerMeeps.com Coupon Code: Receive FREE SHIPPING on any domestic order over $50 using coupon codes: TEAMJOSH or TEAMBRANDON - Usage of either of these coupon codes enters you into a drawing for a $50 gift card (to be drawn on or around May 1st).